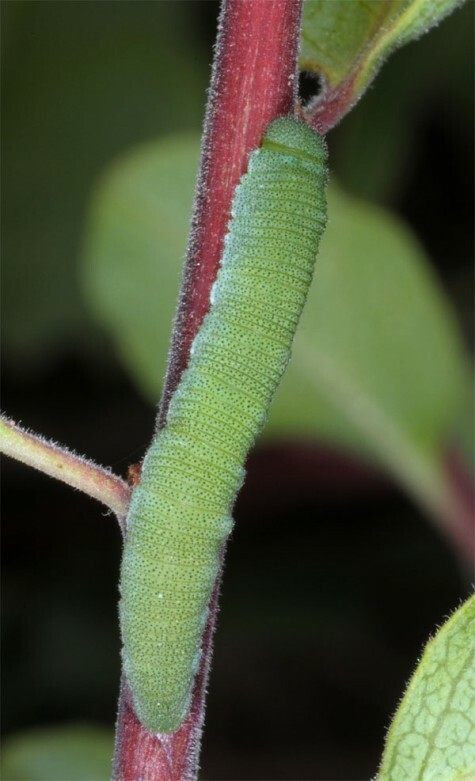 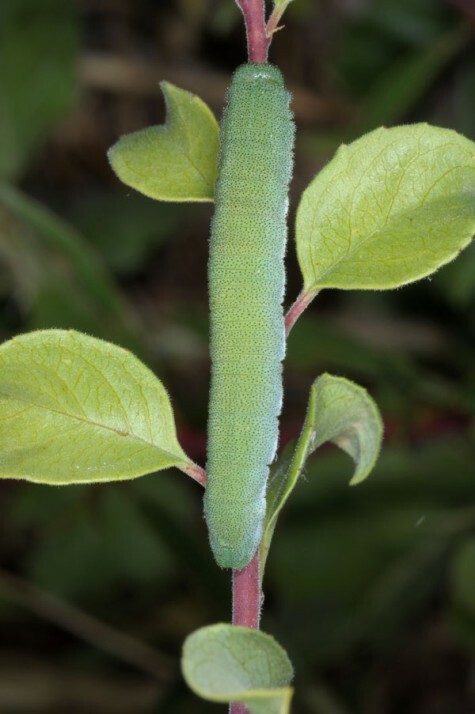 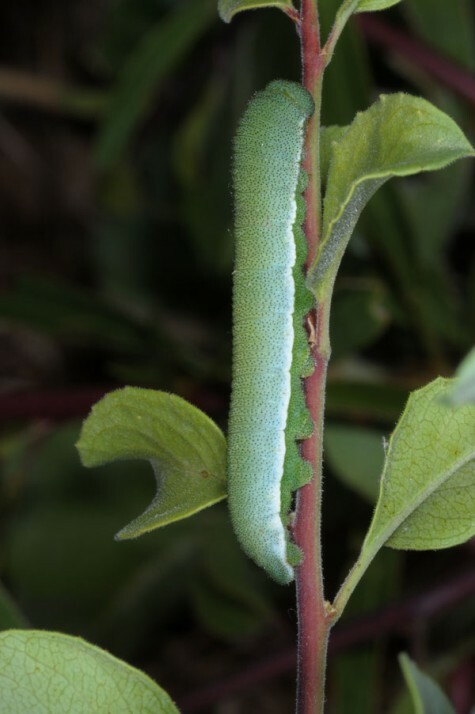 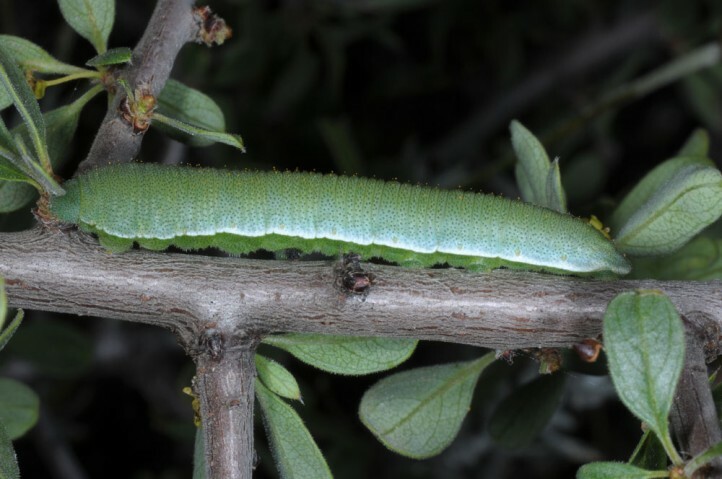 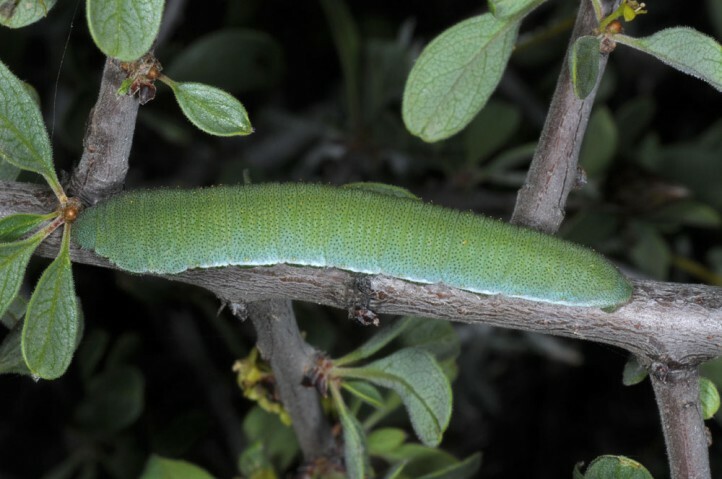 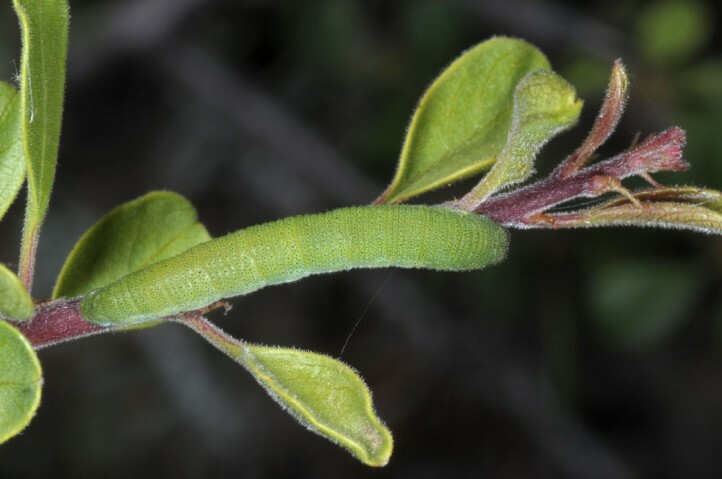 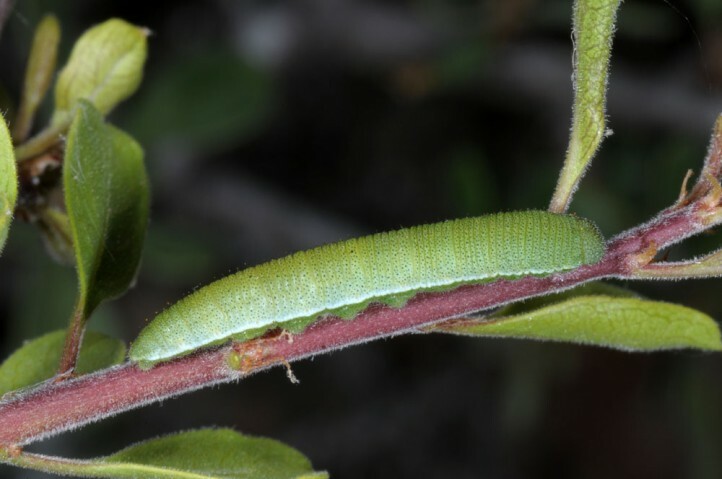 The larvae especially feed on Rhamnaceae-species like Rhamnus sp. 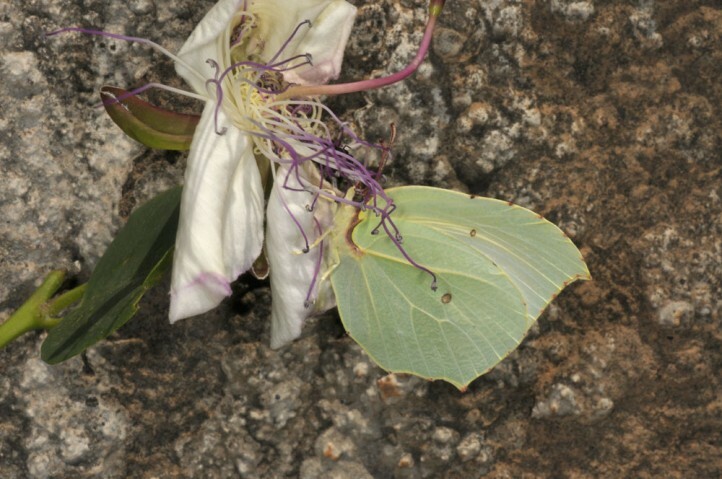 or Paliurus spina-christi. 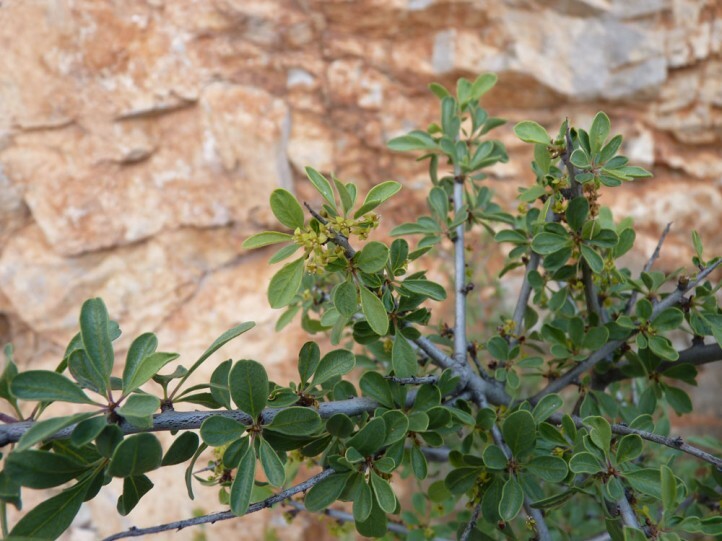 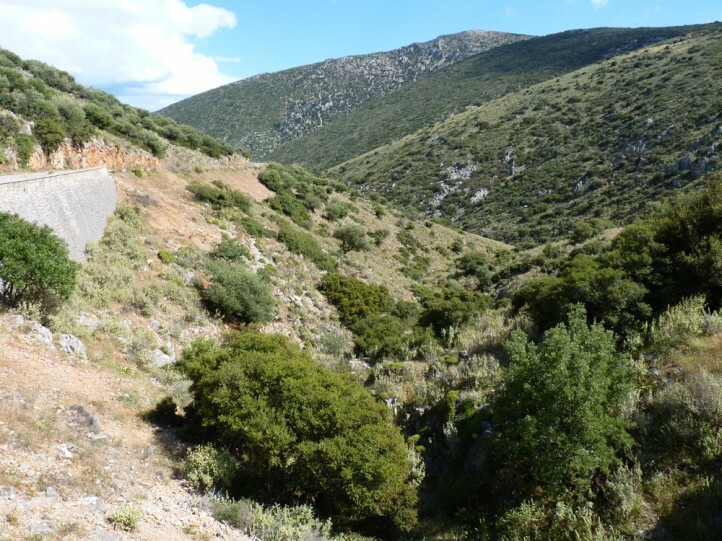 But there are also reports from other shrubs like Pistacia, Rhus or even Buxus. 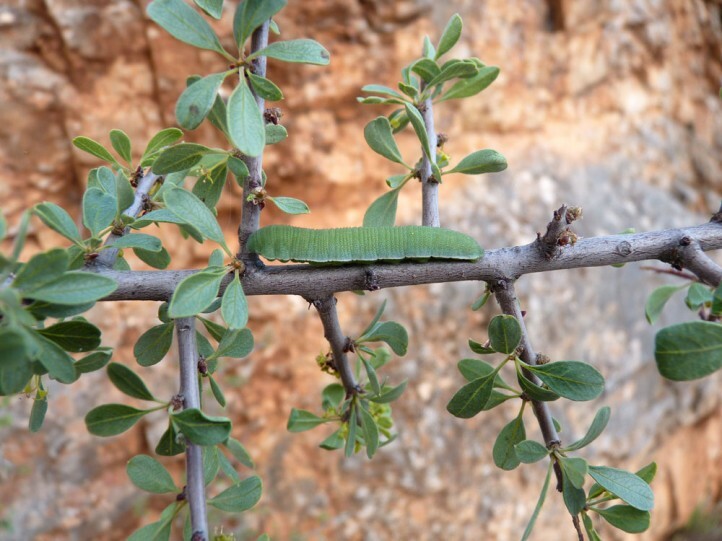 I recorded the larvae on Rhamnus lycioides near Galaxidi (Sterea Ellada, Central Greece). 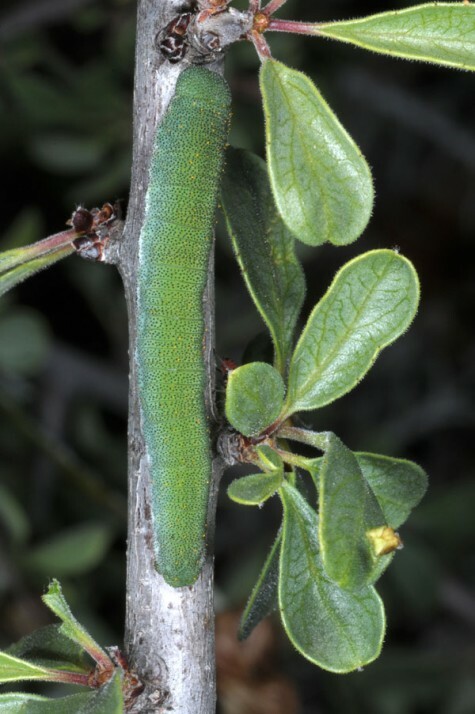 Gonepteryx farinosa inhabits especially dry and hot scrubland (garrigue, maquis), preferredly in rocky environment, from sealine up to 2500m. 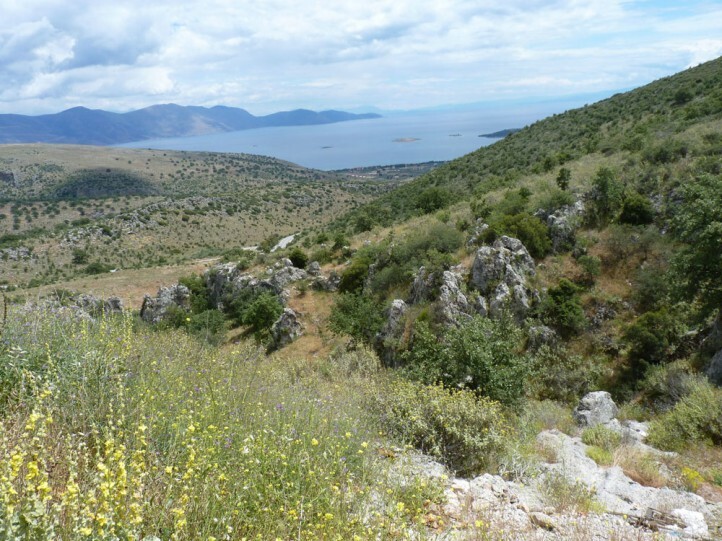 Reproduction above 100-1500m seems to be restricted to the Asian part of the distribution. 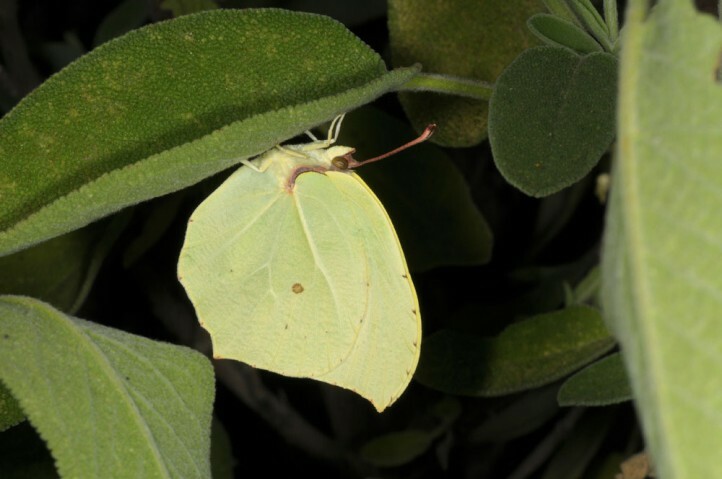 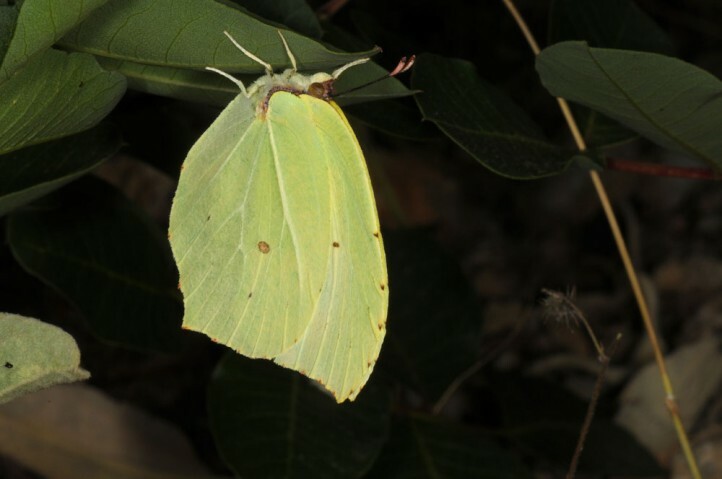 The long-lived butterflies hibernate and oviposit between February and May or in higher altitudes June on the host plants. 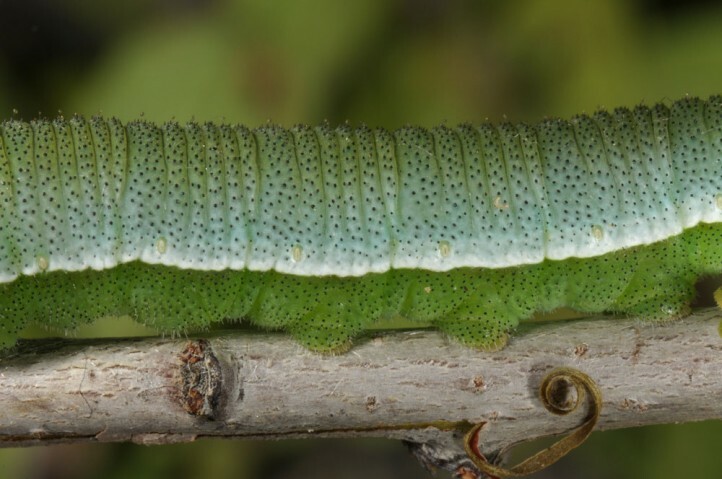 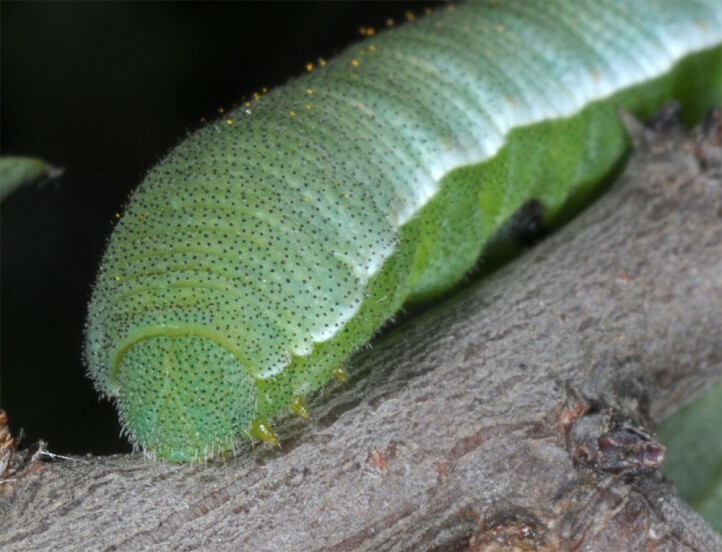 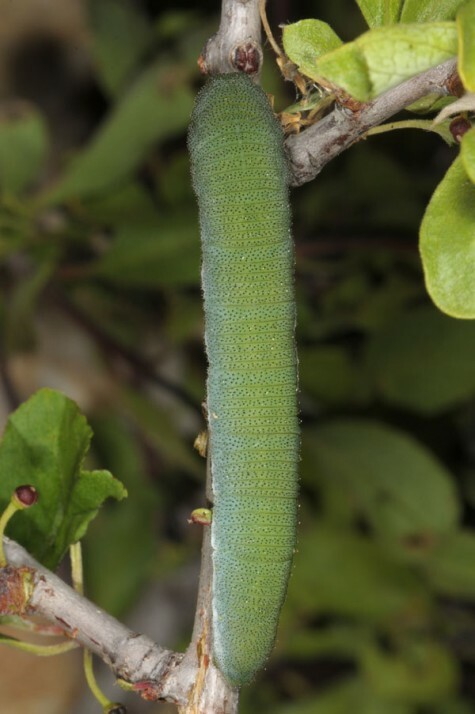 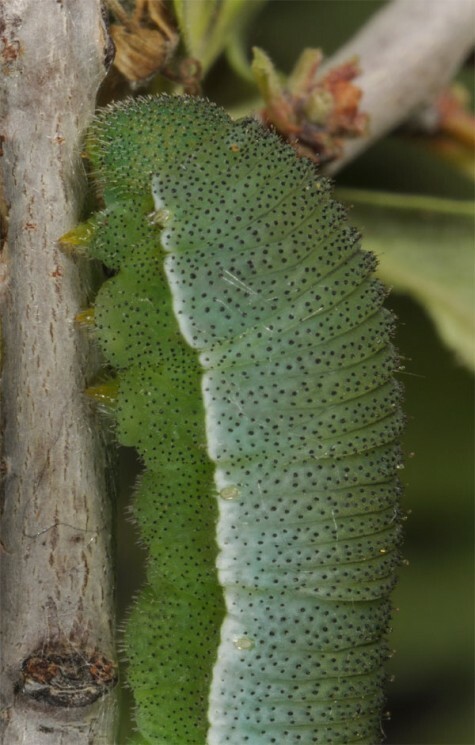 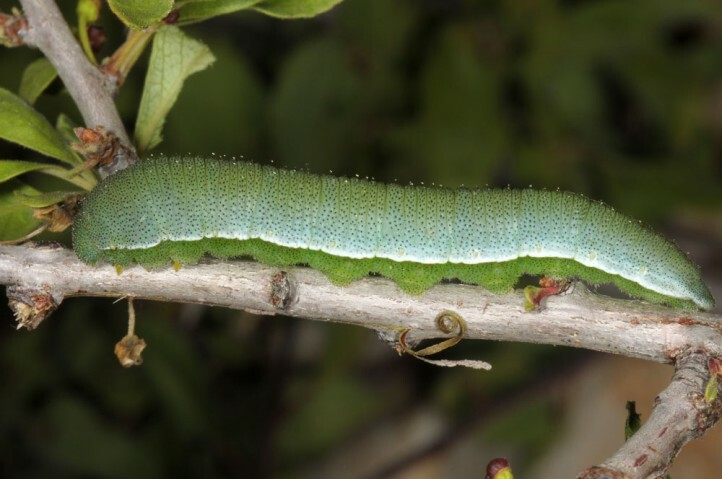 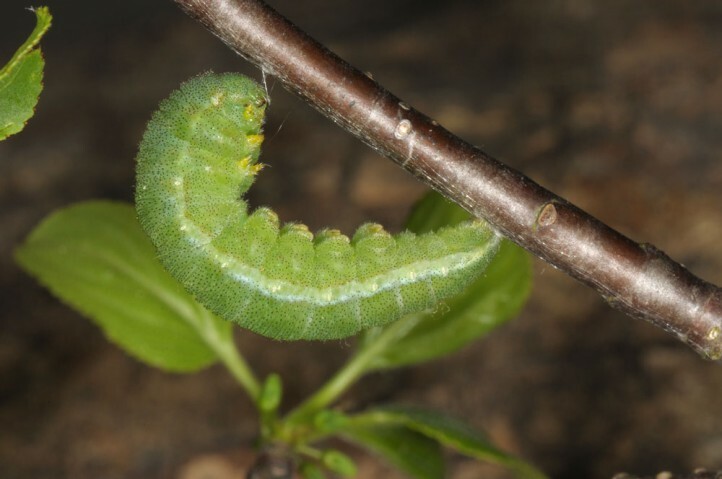 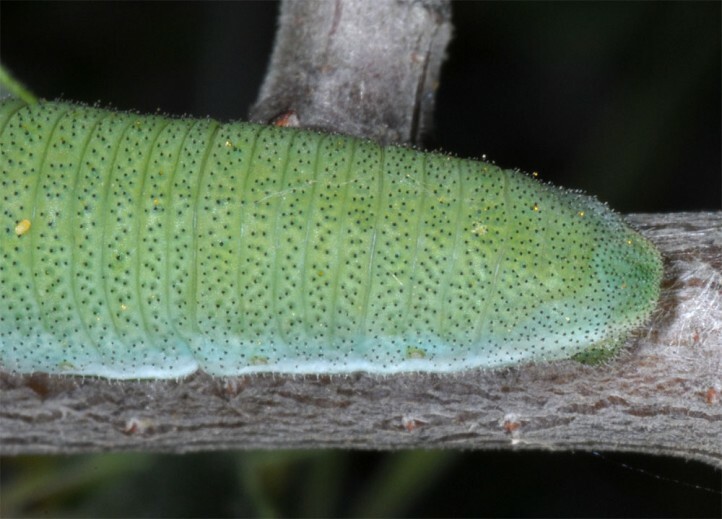 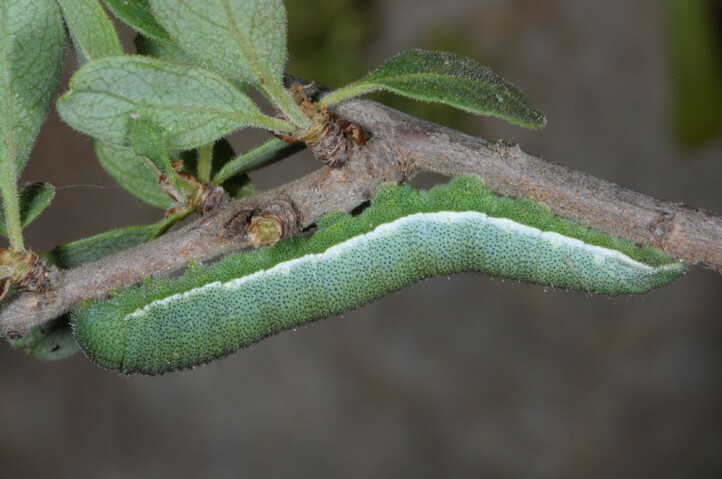 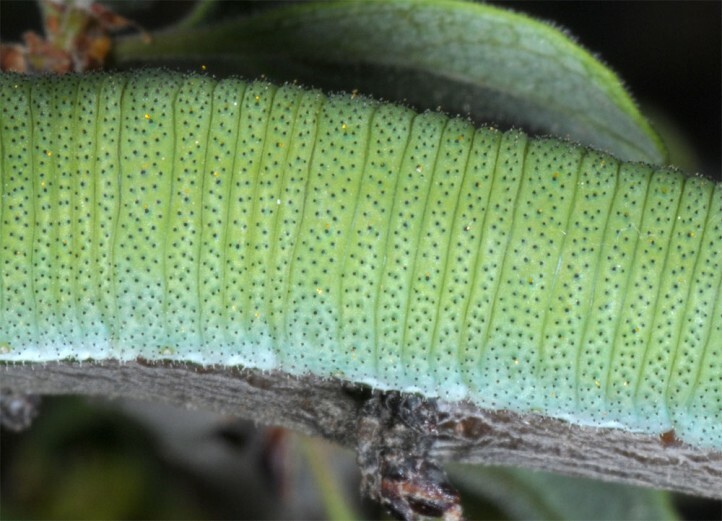 The larvae can be found between March and July. 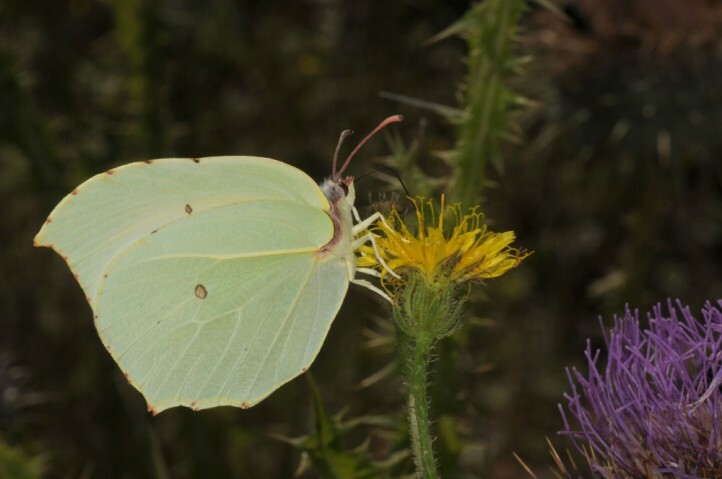 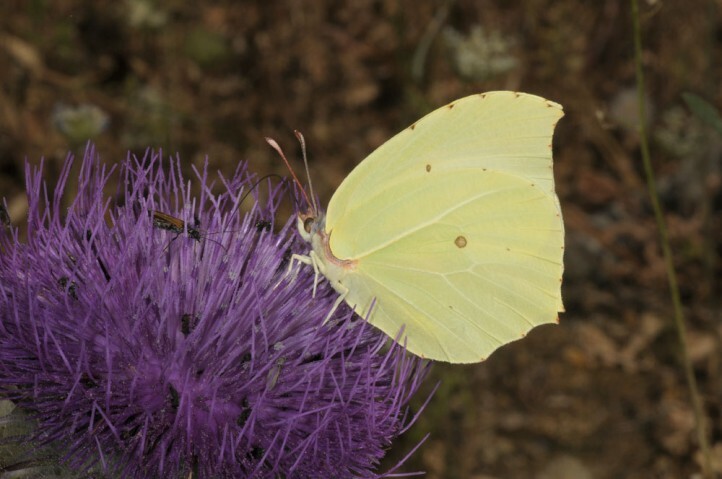 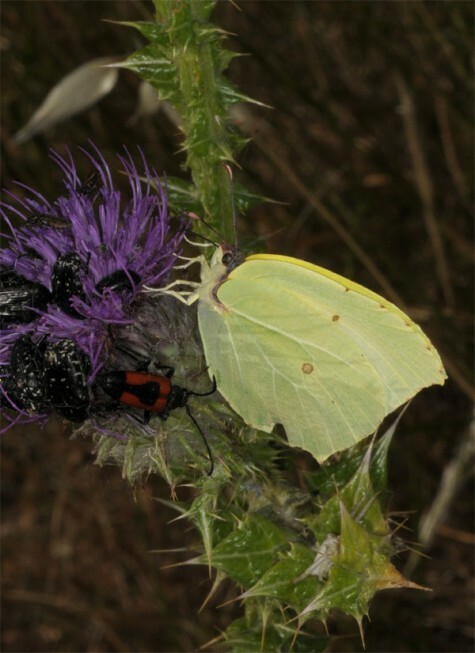 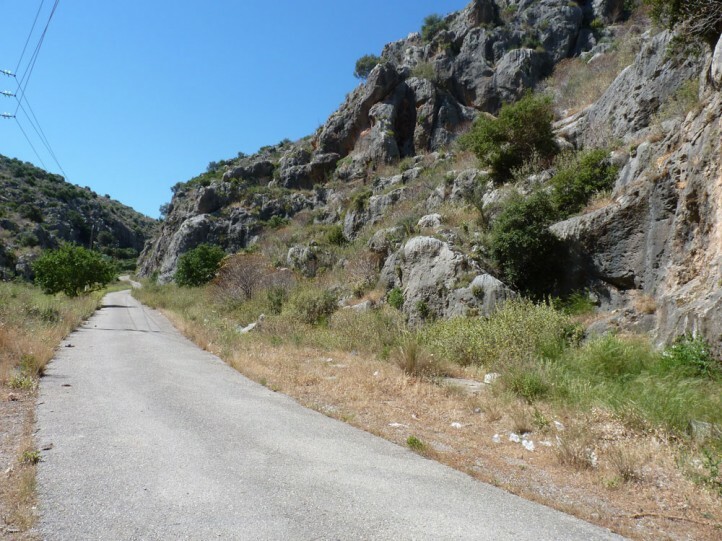 In the lowlands and in hot years (like 2017 in Central Greece) the new generation butterflies emerge already in mid- or late April, otherwise more in May or up to July/August in high altitudes (E-Anatolia). 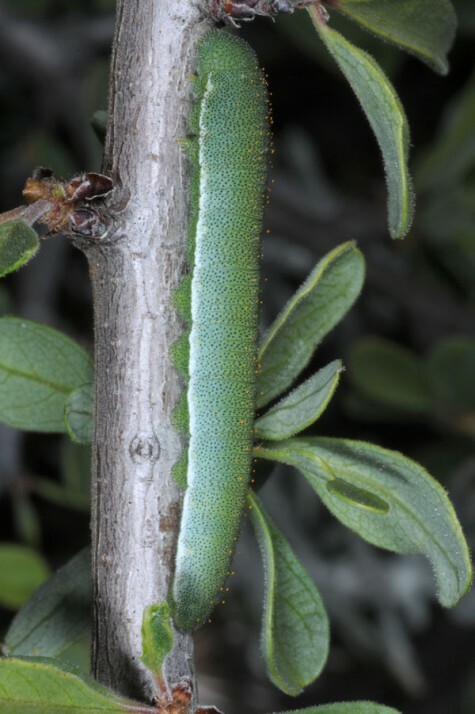 The butterflies usually rest with closed wings downwards beneath a leaf in evergreen schrub like Pistacia. 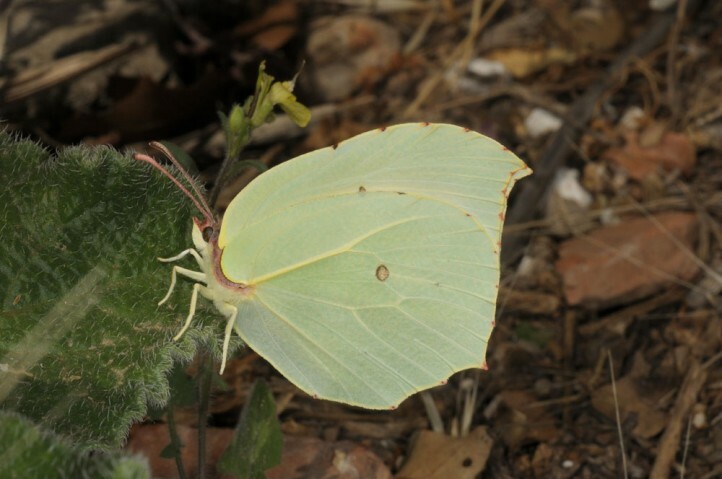 Gonepteryx farinosa occurs from the more southern Balkan Peninsula (app. 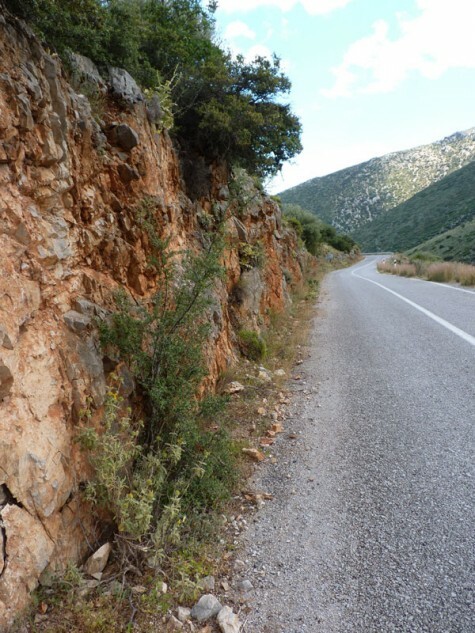 from Albania, Montenegro and Macedonia Southward) across Asia Minor and the Near East to Iran and Kirgisia. 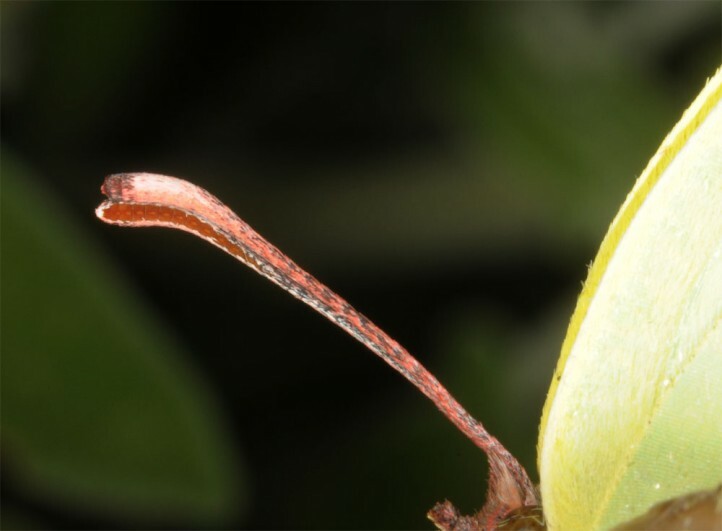 Gonepteryx farinosa is difficult to separate from other Gonepteryx. 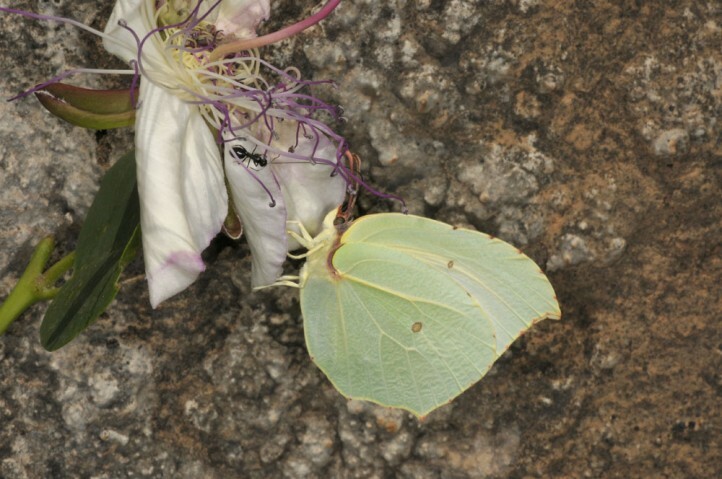 The males are paler than those of G. rhamni and - most important - seem to be two-coloured in flight: whitish and yellowish. 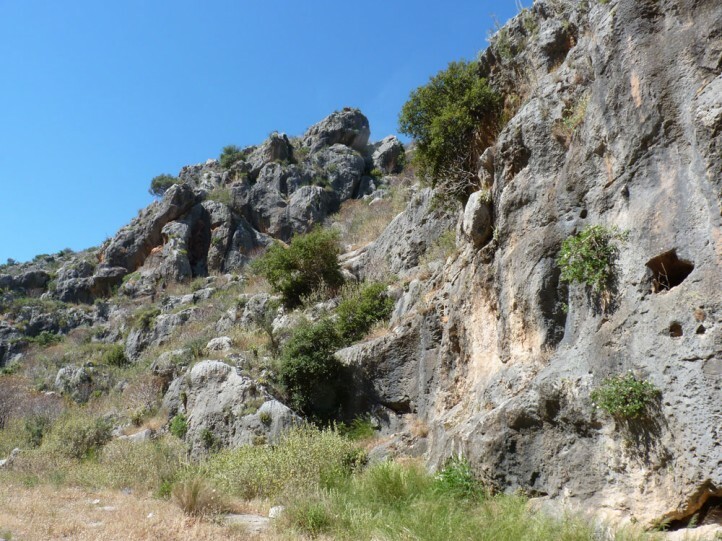 There are some more subtile characters that need some experience.